Grimes v. Saban is a personal injury case from the Supreme Court of Alabama. Plaintiff and defendant, along with others, were in the kitchen at defendant’s apartment after spending the night a local bar. According to court records, both parties were drinking alcohol at the time of the incident. Plaintiff allegedly offended defendant when telling her to shut up. Defendant locked herself in her bedroom. While there she allegedly posted disparaging remarks about plaintiff on Facebook. Plaintiff confronted her about this and Defendant held up her phone saying she already deleted the post. The two women then got into a physical altercation. During the fight, the cellphone was thrown against a wall and more fighting occurred. Eventually the parties were separated and her friends drove plaintiff to the emergency room. She later filed a civil action for assault and battery in connection with her injuries. As our Boston personal injury attorneys can explain, assault and battery are considered intentional torts. A tort is a defined as wrong, for which the law provides a remedy. Basically, if someone (a tortfeasor) commits a tort against you, you can sue that person in civil court. Torts can be further defined as negligent or intentional. While most personal injury cases involve claims of negligence, others can involve claims of intentional torts. In the Commonwealth of Massachusetts, assault and battery are both intentional torts. Other examples of intentional torts are false imprisonment (kidnapping), conversion (theft), and intentional infliction of emotional distress (IIED). In Grimes, plaintiff claimed that in addition to the physical pain and suffering caused by being assaulted, she suffered from night terrors, anxiety, trembling, a sleep disorder, and fears of death from traumatic brain injury (TBI). 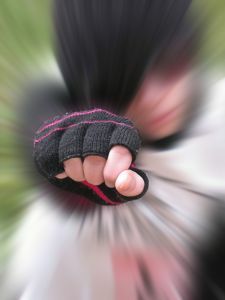 Defendant filed a motion to dismiss the case on grounds plaintiff had instigated the fight herself by uttering hateful words, and defendant was only acting in reasonable self-defense. Trial court denied defendant’s motion to dismiss. At this point, defendant moved for summary judgment asking the case be dismissed. She included affidavits from the other people where in the apartment at the time of the fight. Plaintiff opposed this motion and submitted photographs of her injuries, medical records, and other evidence. Defendant moved to strike this evidence, but the court granted defendant’s motion for summary judgment without addressing the motion to strike. In its findings, the court found defendant was in her own home and locked her bedroom when plaintiff came in and instigated the fight. The court also found plaintiff’s physical response to Facebook posts was unreasonable and excessive. Plaintiff appealed this order. On appeal, the court found trial judge had abused its discretion in granting motion for summary judgment. Its reason was self-defense is an affirmative defense that a defendant can raise at trial. There is a valid question as to whether she acting reasonably in the situation and it is up to a jury to hear the evidence and make a finding. It is not up to a judge who is supposed to rule on issues of law to make such a fact-finding and essentially take the case away from a jury.